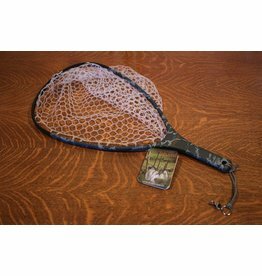 Convert your landing net into a seine net to capture stream insects for more effective fly selection. 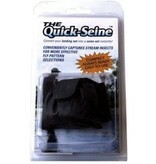 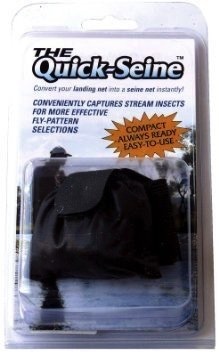 The Quick-Seine will provide you with an instant sampling of trout stream insects without the inconvenience of pocket-searching, juggling, or tying-on. 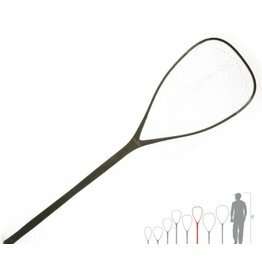 A compactible all-white seine net is stored and transported in a pouch on the unused portion of your landing net handle and is always ready to use. 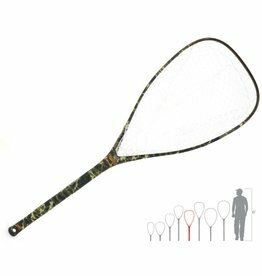 The elasticized seine net can stretch over your landing net in seconds to capture and examine insect specimens on or below the surface of the water. 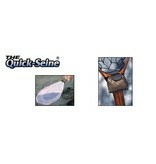 The seine net dries completely inside its breathable pouch after use. 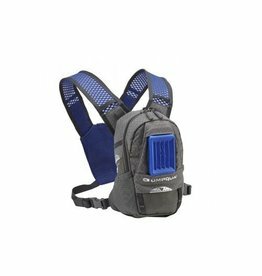 Transported out of the way on the net handle, it frees up valuable vest-pocket space.